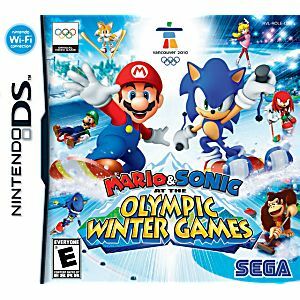 Prepare to compete in the Olympic Winter Games with your friends and family like you never thought possible. 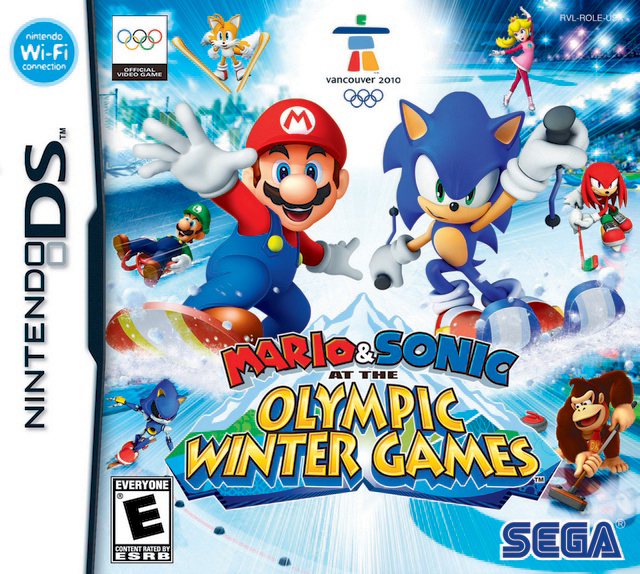 Mario & Sonic at the Olympic Winter Games will take players to Vancouver, Canada, host city of the official 2010 Olympic Winter Games. Just a few of the actual Olympic events that players can look forward to trying their hand at include: alpine skiing, ice hockey, speed skating, bobsled, figure skating (singles) and snowboard halfpipe. Dream events include, but are not limited to: dream ski cross, dream snowball fight and dream alpine skiing. My son LOVES this game! great value and the game works well! My kids really enjoy this game. I love this site you can find almost any game and it's a affordable price. This is definitely my new game spot! My 5 and 8 year old boys fight over this game a lot because they love it so much. The graphics are really good and there are so many different things to do within the game, using both Mario and Sonic characters. Price and Shipping were good, and overall, the game is great. I have bought numerous games from lukiegames and let me tell you-you wont be disappointed.I as well as my kids love these games and cant seem to put them down and if there ever was a problem they have great service.so if your wondering to buy an item from lukiegames -I would give 5 stars.